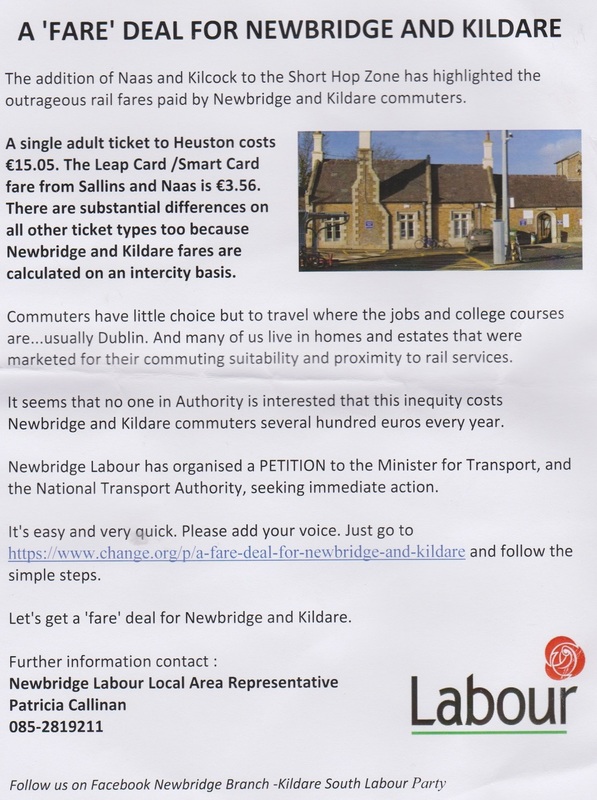 A leaflet issued by Labour LAR Patricia Callinan looking for “A ‘Fare’ Deal for Newbridge and Kildare” . You can sign the online petition here. Many thanks to the sender.